Jorge Sanchez has been admitted to Miami-based MBAF (FY13 net revenue of $84.2 million) as director of recruiting. Sanchez will be based in the firm’s Miami Green office. The announcement was made by Tony Argiz, chairman and CEO of MBAF. 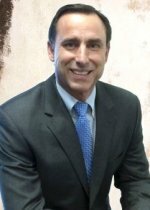 Sanchez brings more than 25 years of experience in accounting and financial recruiting in South Florida, and he will oversee all professional recruiting functions at MBAF. He will be responsible for developing outreach strategies to secure new talent within the firm’s practice areas: tax and accounting, assurance, advisory services, technology consulting and private wealth.